It's important to think of your website as the first impression a potential client will have of you and your practice. So in order to make that first impression count follow these 9 tips. Many web users today are abandoning websites quicker than ever before, so make sure your website grabs their attention and leaves a good first impression. Internet users rely heavily on websites for information about all types of products and services, including medical services. Therefore, your website can be considered the entry point to your healthcare practice. A dental brand that has a good website could become popular with online users, attracting many potential clients. A well-designed, informative website also helps earn the trust of people who are thinking about seeking a particular dental provider’s services. The key is to make your website user-friendly in order to gain favour with the target audience as well as improved search engine rankings. User-friendly involves multiple aspects and your website needs to ace all of them to get more clicks, a higher response and better patient conversion. Different healthcare practices may promote different products and services on their website. Design and content requirements for each of these differ, but there are certain areas that every practice must focus on to ensure maximum ease of use for website visitors. The design of your website, the colors used, the content and images on the site may all be rendered ineffective if your website takes too much time to load. Majority of the users might abandon their search if they realize the website they are trying to open doesn’t load in 2-3 seconds. Your website needs to load at lightning speed so that you have a chance to show users what you are offering on the site. You can check site speed using tools like Google Page Speed Insights. Optimizing image and video sizes on your website and checking your server speed can help you load your site faster. A large number of online users look up websites on their mobile phones. An important step in ensuring that your website is user-friendly is making it mobile-friendly. The website layout must look more or less the same on all screens, be it laptops, tablets or smartphones. All tabs, hyperlinks and graphics must load with equal efficiency on every device. People recognize a logo at the first glance. So the logo of your company or brand must appear on the top left corner of your website homepage to attract a visitor’s gaze. This is non-negotiable. Ensure that the colors used on all pages of the site are in harmony with your brand colors. Don’t use a complicated layout to display text and images on your site as well. Make sure that the content placement on the screen is done in such a way that it guides the user’s eye across text and images without any jarring interruptions. For a website to be considered user-friendly, it has to be simple and easy to navigate. Do not clutter the home page with too many tabs. A drop down menu in one corner can help you include multiple tabs, if they are necessary. Hyperlinks are also important. These allow users to reach for additional information if and when they wish. Putting hyperlinks in color and underlining it makes them easily identifiable. Every healthcare practice needs to let users make enquiries or leave a message through their website, or easily find the information they need to contact you and your practice. This will not be possible if the contact information on the site cannot be spotted easily or is insufficient. Also, users are often reluctant to give their personal information on websites. Your contact form or link can include a sub text or disclaimer stating that their information will remain secure and confidential, so that users won’t hesitate to contact you. Often users read all the information available on your website but don’t know what to do with it. Prominent calls to action are required on every webpage to help users book an appointment, add products to their wish lists (depending on what specific dental services or products the website is providing) or leave their own contact information so you can get in touch with them. Having a “Chat with us” option on your website is another great way to engage every site visitor and provide instant information to everyone. You may consider using chatbots for this purpose on your website. Most users do not have the patience to read through each word on a webpage. Many will only skim through the text and abandon their efforts if they do not find information relevant to their requirements. To avoid this, text must be concise and provide important information in just a few sentences. Short paragraphs and bullet points help readers quickly understand the content and find what they are looking for. Crisp text must be accompanied by images and videos for better comprehension, and to attract user focus. For example, in case of a dental website, photos and videos explaining different dental procedures, personal dental care regimes or the importance of oral hygiene will be useful to site visitors who are contemplating visiting the dentist. If people open a web page and see very lengthy text, they might have the urge to leave the site. Too many different colors, fonts and cluttered pages might put the reader off your website. Colors can be chosen depending on your brand and the domain you fit in. Art, culture, lifestyle and entertainment related websites can have bright colors, whereas websites related to healthcare should ideally have sober or soft colors. Your website design must use the white spaces appropriately. This will give the website a tidy and sophisticated look. Readers enjoy spending time on a website that is clutter-free, easy to navigate, and has a welcoming design. A good About Us page that gives relevant information about your brand and your services is absolutely necessary. If that is well-constructed, you can expect a higher response to your Calls to Action on the website. Users coming to your website are going to judge you based on what they know about you. The more they read about the history, philosophy, and objectives of your healthcare practice, the more they are likely to trust you and want to look into your services. 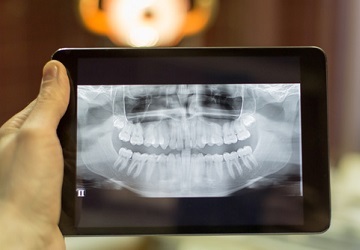 Making your dental website user-friendly is all about putting yourself in the patient’s shoes and thinking about his/her needs and potential preferences. You create a website not just to put yourself out there but to give users exactly what they are looking for. A well-designed, enriching website with a smart layout, easy navigation, pleasing colors and informative content is the essence of your healthcare website’s success.